A cheap iPhone has been rumored for months, but the company thought to be making it has a wrench to throw in our spinning dreams of a budget-priced Apple handset. The "budget" iPhone won't actually be that cheap, said T.H. Tung, CEO of Pegatron, the Taiwanese manufacturer thought to be working on the device at this very moment. Speaking at a shareholders' meeting about the new cheaper iPhone today, Tung said "the price is still high," reported the China Times. That's not exactly music to our wallets, but Tung's insights at least seem to confirm that Pegatron is indeed handling the manufacturing of the device. Tung reportedly went on to say that while the new, more affordable iPhone can't really be considered "cheap," smartphones in general offer better value than more affordable feature phones. Apple has neither confirmed nor denied the existence of a cheap iPhone, so Tung's candid statements about it come as something of a surprise, especially if Pegatron really is behind manufacturing. You'd think they'd be subject to a pretty binding non-disclosure agreement, right? Regardless, the budget-priced iPhone is rumored to arrive in August in six colors, with a plastic chassis and a price tag of $99 (about UK£64, AU$107). Maybe Tung doesn't consider that cheap, or maybe this new iPhone will actually cost more than that. Until Apple issues an official decree we won't know anything about it for sure. 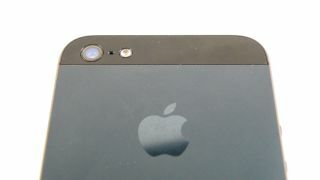 Stay up to date on everything we know about Apple's cheap iPhone at TechRadar.